Words by Fiona Symington. Photos courtesy of Brockwell Bake Association. Brockwell Bake Association grows heritage wheat, harvests, mills and bakes with it in Lambeth, London, while also working with partner organic and bio-dynamic farmers in Sussex and Kent. “We are trying to go back to those good milling British-grown wheats that are prior to the pre-early to mid-19th century” is how Andy explains their mission to grow enough heritage wheat to be able to bake with it, while promoting the nutritional and cultural value of real bread. That is bread made without preservatives and additives, where time is one of the key ingredients. Brockwell Bake started as a real bake-off competition in south London but after a year, expanded its focus to include the revival of British heritage wheats. Inspired by the work of John Letts, a botanical archaeologist, the group turned their hand to sowing and milling, growing varieties on its own allotments in Lambeth, working with local school and community gardens and running education programmes. To date, BBA has gathered over 90 varieties of heritage wheat sourcing seeds from gene banks globally. What they have uncovered is a lost history of British agriculture, gathering an extensive collection of British landrace and early cultivar varieties (a “landrace” is a seed or farm animal stock evolved by a region’s farmers to suit their local soils and climate, farming without high inputs of chemicals or fossil fuels.). “From countries where there are more heritage wheats surviving such as France, Italy and also Spain, we’re rediscovering degrees of extra flavour which have been lost in the drive to standardise and homogenise modern wheat lines,” shares Andy. Among those collected, Lammas wheats hold special place. “If wheat is the king of cereals, then Red Lammas is the king of wheat” is how William Ellis in his book The Modern Husbandman, or, The Practice of Farming described this landrace in 1754. The London loaf at Ellis’s time was a combination of Kent Wooly-Eared and Red Lammas. Even after the enclosures of common land and the repeal of the Corn Laws, British wheat was still often added to other flours to bring a sweetness of flavour. At present, the Association is building a sustainable bank of wheat stock. “We are putting everything back into the ground. It is imperative to not waste the seed by eating it for a few years. It will take a couple more years before we taste some of these — maybe next year.” They are also proactively working to have the Lammas listed so it can legally be grown commercially. 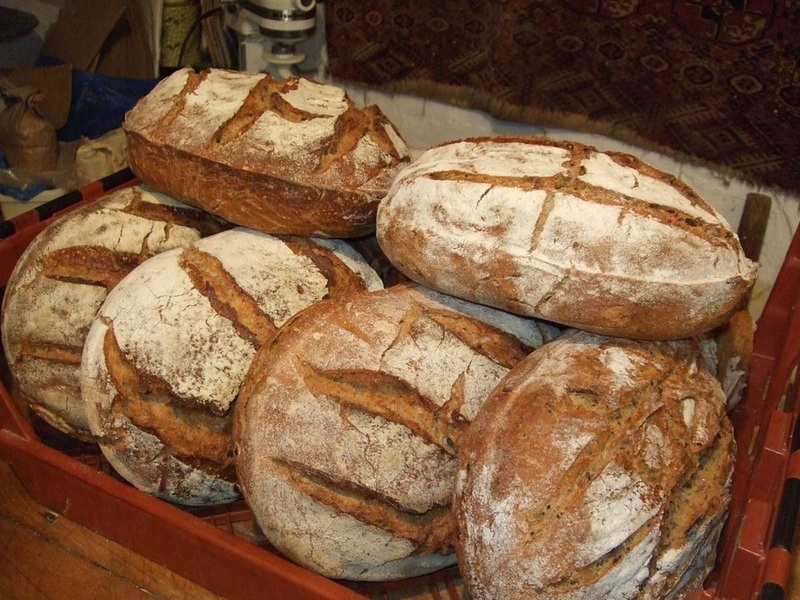 As avid bakers, Brockwell Bake stone-mills its own flour, bakes and sells its own bread. Unlike most artisan style bread, theirs is made exclusively from locally grown, UK grain. It takes between 12-24 hours to make with Andy using a sourdough starter that he has had for over twenty-years. The patience required is in stark contrast to the Chorley Wood method (“90% of baking in this country”) — originally advertised to bakers as a “no-time” process, with bread production taking about half an hour from mixing to oven. In true artisan style, the baking was initially done in a mobile wood-fired oven in Andy’s garden (a Latin American design based on recycled oil drums). Working around the clock they were able to bake 18 loaves at a time over a 24 hour period. They have also worked with other bakers – Bread Bread bakery and organic pioneers, the Old Post Office Bakery in Stockwell. However, their aim is to find a place to bake permanently, preferably in south London, now that the garden in which their oven was based has gone. For the moment they have a pop-up bakery over the summer at Wowo (Wapsbourne Manor Farm) in East Sussex but after September they are in search of a new home. Brockwell Bake bread is on sale with Jacob Ladders Farms on Saturdays from Brockley Food Market, Crystal Place Food Market and from their arch at 104 Druid Street, Bermondsey. 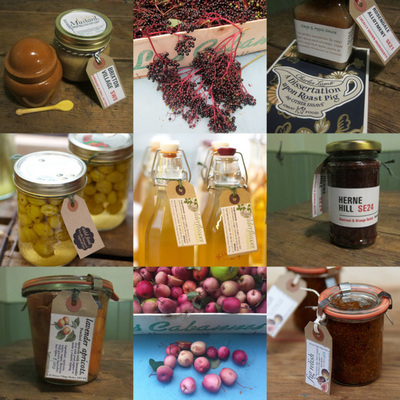 To learn more about Brockwell Bake or if you have any suggestions regarding how they can find a permanent home, contact BBA here. 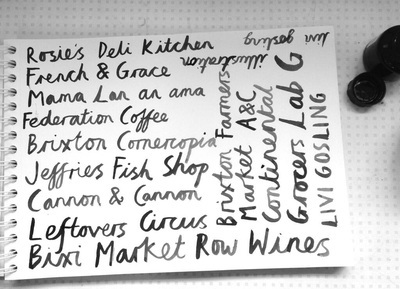 Brixton Cornercopia is no ordinary store. 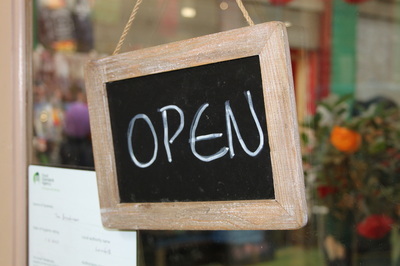 It's a place where local stories are told and recipes shared; where the produce for sale is all locally grown and made. Discover all that London has to offer using one of our self-guided food walks. Simply download one of our free PDFs and start walking to find all there is to eat, drink, cook and ware across the city.